This review was created after testing numerous free website builders. As a result I’ve selected 15 best free website builders which are the most advanced web tools to create a website without any help. If you’re going to make a website – pay your attention to website builders (or as they are also called: website creators, website makers). These easy online software are ideal solution for novice webmasters and also for one who wants to get a modern and free website not being a web designer or programmer. Selection of free website builders is pretty big, so to choose the best free website builder is not an easy task. The secret to success is to find a website builder with powerful functional options and which at the same time will be easy and user friendly enough that any person who does not have special skills in CSS and HTML can cope with it. And of course, it should be absolutely free (not trial). 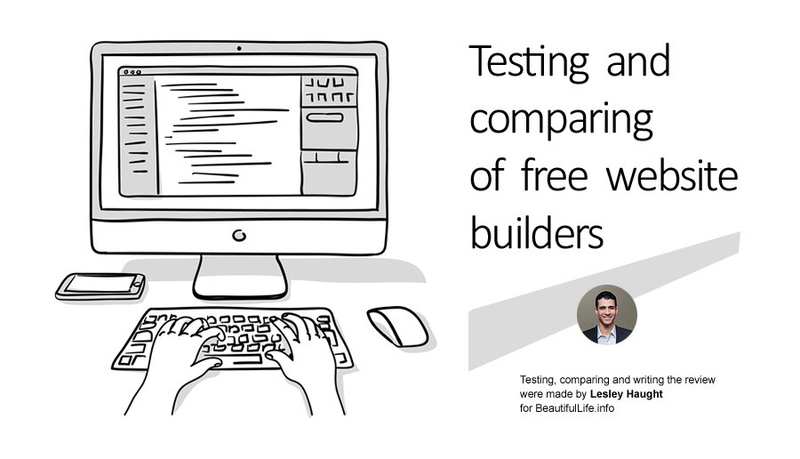 Now let’s take a closer look at these free website builders. I tried to keep an open mind and describe each of them as accurately as possible. For each free website creator you will see a screenshot of its drag and drop editor interface (what is this – we will tell below), links to some free templates – so that you can evaluate their quality. And of course – a listing of the pros and cons. Which of the famous platforms comes to your mind when hearing the term “free website builder”? WIX should be the one. 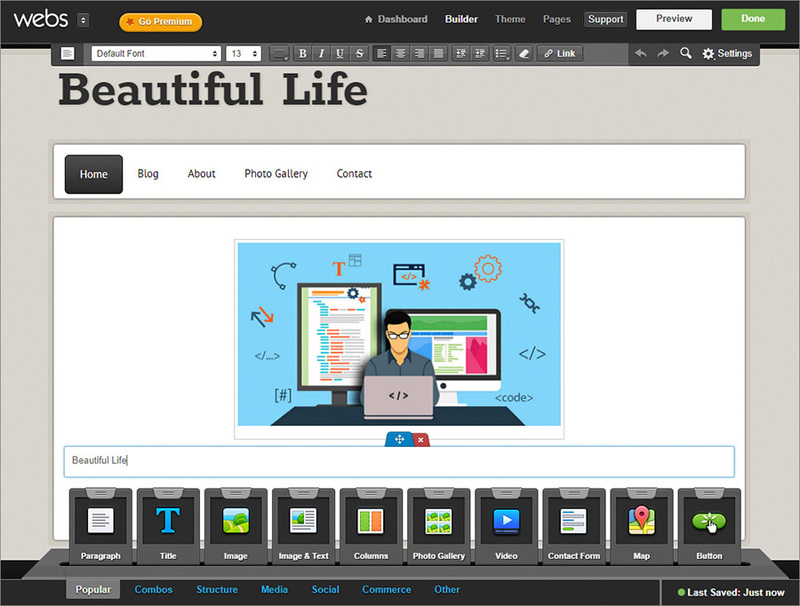 It’s one of the best free website builders oriented for novice users. Since the launch of WIX company in 2008, it managed to serve more than 110 million websites all over the world. This proves the fact that WIX creators know their business from A to Z. 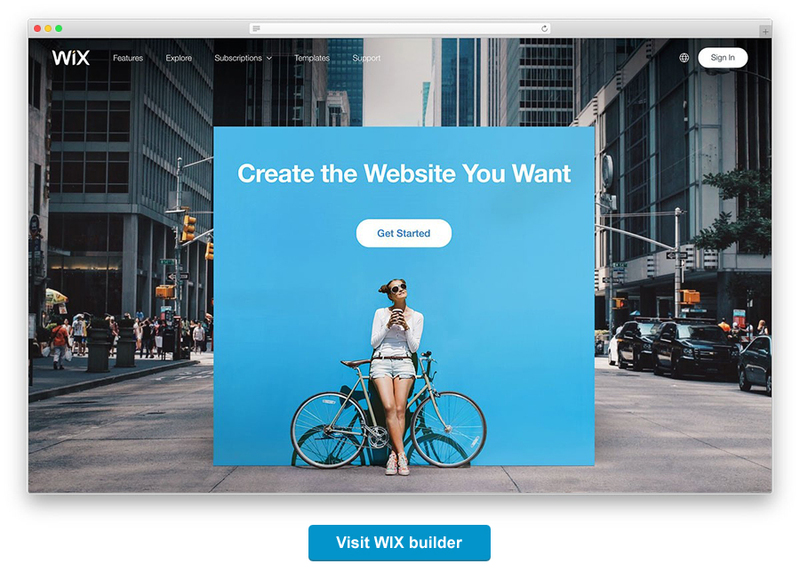 Why exactly Wix deserves to head our list of the best free website builders – check out our other article: Why Wix is the Best Website Builder? WIX “strong side” is about creating personal websites, business cards for small businesses and creative portfolios. It’s full of stylish interactive design templates, which were clearly developed by high-level professionals. 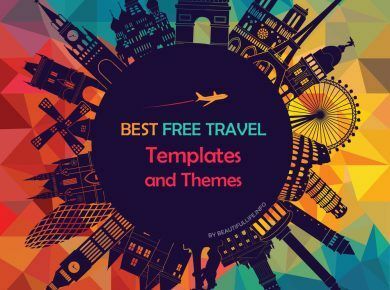 Currently, you’re open to 500 different templates sorted in almost 7 dozen thematic categories. When it comes to admin panels used for website management and configuration, WIX is a total winner. 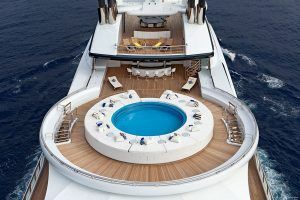 It has one of the most intuitive, visually clean, logically structured. And pleasant looking interfaces. Drag-and-drop editing helps make changes to the website and see them in a real-time mode. “Is it all free? I can hardly believe it,” you may now ask. 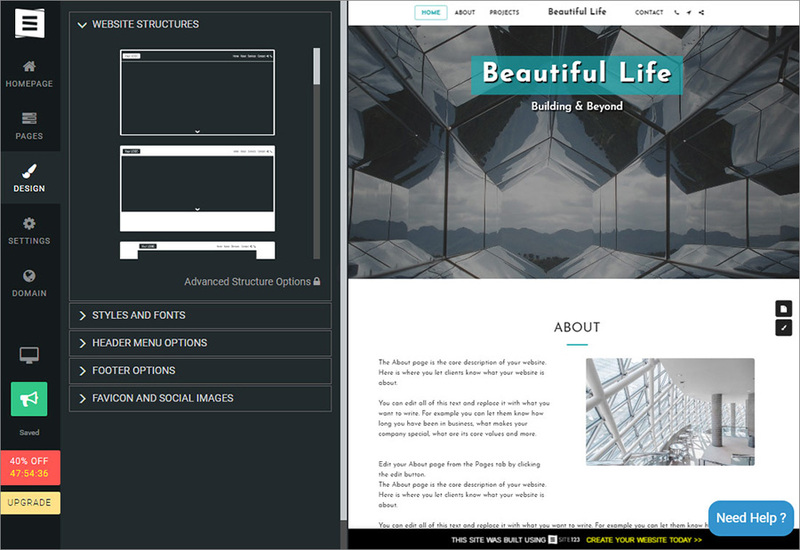 Yes, this website builder is absolutely free as well as all the rest in our review, but you should know more about this. First of all, Wix really allows you to create a website absolutely for free with min limitations in functionality. In this Wix is one of the best website builders for free. But, you will have to extra pay if you would want to use your own domain name (but not a free one offered by Wix). You’ll have to pay for the purchase of widgets, special e-Commerce extensions, statistics collection tools, etc. Second, the bottom of each website created with the help of WIX will have a link to the parent platform, while the company logo will be placed on the top. Not a large “payment” for the opportunity to use an intuitive editor, free hosting, free SSL certificate, and advanced SEO (search engine optimization) tools, right? Foreseeing a question – do not bother yourself by looking for a free website builders without ads. You won’t find anything worthwhile. All high-quality website builders place ads on their free websites — whether this is a link “create website” in footer or a link in a logo in a header or a strip with a banner at the bottom of the website. Anyway, if you use a free plan – you will have advertising of a platform you’re using. But when you buy any premium plan – ads will be removed, plus you will get additional functionality for your website. Plenty of educational materials and video lessons. Creating an ecommerce website is impossible for free plan. For this you will have to buy subscription on eCommerce Premium Plan. Is it worth to use Wix? Definitely yes. Wix is one of the most convenient and simple free website builders. Therefore, it will be the perfect solution for novice webmasters. For all its simplicity, it has one of the best drag and drop editor and powerful functionality. A large selection of categories for web themes allows you to create modern websites for almost any small business niche. Webnode is also one of the best free website builders developed by the Swiss company Webnode AG. The project is successfully developing in a number of countries and is available in many languages. In fact, it’s one of the oldest web builders of its kind launched back in 2008, currently serving more than 18 million users worldwide. The system offers several hundred high-quality wide-format and easily adjustable templates allowing to create a mobile site. They are divided into different categories, filled with demo content, as well as endowed with adaptive layouts and high-quality typography. Webnode claims it’s a perfect platform for a beginner, although the statement is kinda questionable. It is much more difficult to get started in Webnode than in a much more intuitive WIX editor. The drag-and-drop builder looks a bit overloaded, so changing some of the theme elements can become a challenge. The free functionality is limited and rather intended for getting familiarized with a platform than creating full-fledged web pages. The Webnode free version has super limited functionality, most of it works only during the 30-day trial period. The only thing the service guarantees for sure is the ability to create an unlimited number of website, as well as provide access to reliable hosting and competent technical support. Attractive and well-thought-out templates (business cards, blogs, and portfolios). Free automate mobile version of a website. Illogical structure of the administrative panel. Is it worth to use Webnode? Yes. 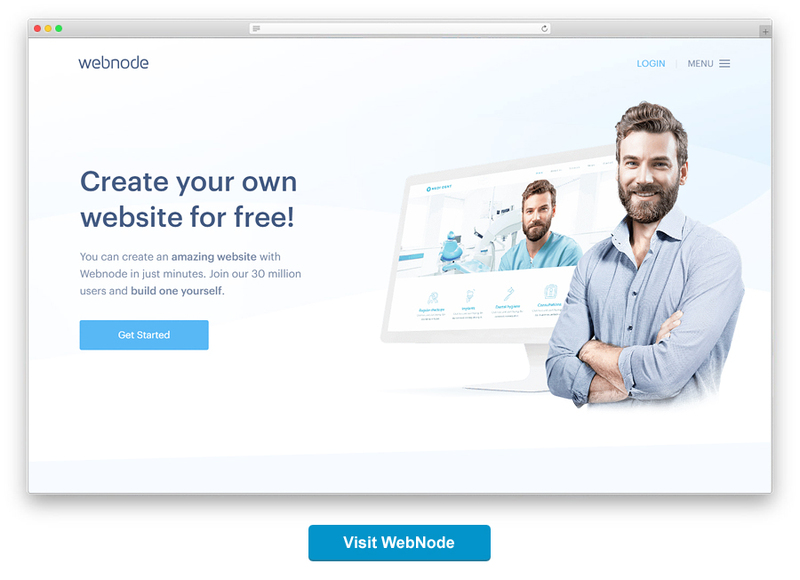 Webnode is a good website builder if you need a not big website for small business or your personal site. Also it will be ideal solution for creating multilingual websites since Webnode has the appropriate options. 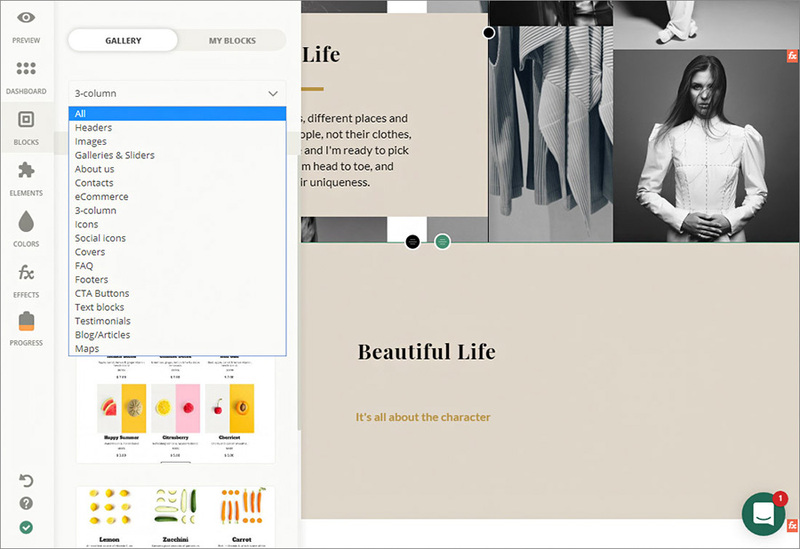 Speaking of ImCreator, one is clear: this is a perfect site-building platform for those willing to create a visual impression by using outstanding design themes. Lately, the service has been significantly improved, so now it got even more lightweight and simplified. The drag-and-drop interface is quite minimalistic with some unusual and modern elements of animation displaying the content exactly the way it will look on the website. ImCreator indeed has one of the most stylish themes on the market. All templates are flexible, fully-adaptive to any device, and categorized into landing pages, templates for apps, business card, etc. Thumbs up for the ImCreator front-end editor – it’s super convenient and good-looking. The free ImCreator plan gives you a chance to create your own page, shop for add-ons, choose a ready-made layout, and customize it to fit your needs. Although the platform is only free for students, artists, and non-commercial projects. It offers unlimited hosting, as well as the ability to connect to any provider’s domain. If all you need is to create a simple website, the particular set of free options will be more than enough. The most significant features worth to be purchased are eCommerce, SEO, and blog. The real disappointment of ImCreator, however, is the lack of site analytics and integration with social feeds. There is no website analytics for free plan. Is it worth to use ImCreator? Yes. 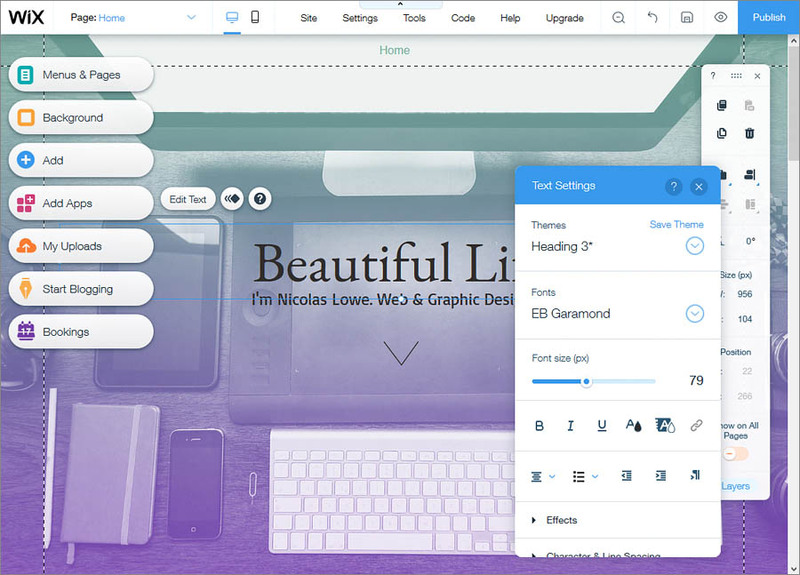 ImCreator platform is one of the simplest website builders, although it’s hard to believe there exists something even more lightly built than Wix. At the same time you have to admit that ImCreator is weaker than Wix in functionality. The free ImCreator plan will satisfy absolutely anyone who needs a small personal website for his own needs but with high requirements regarding the website design. Among the other easiest free website builder software, Site123 should be the first on the list. Just like other ones, it’s mostly focused on creating business cards and blogs for novice website owners. The site-building process operates in three steps. The most interesting Site123 feature is the ability to switch the one-page website to a multi-page one (with the output of each block on a separate page). You can also add up to five language localizations. The platform offers plenty of high-quality templates of various categories, although most of them look somewhat similar. The themes can be slightly customized by applying one of 13 different structures and changing the color style settings. The visual editor of the platform is more difficult to master than its competitors. All the customization options are located in the side menu where the most job is going on, meanwhile, the user can observe changes in real time on the right side of the page. The platform connects to promo plugins and analysis statistics indicators, as well as marketing tools and modules for setting feedback – LiveChat, Google AdWords / Analytics, etc. The free Site123 plan includes 500MB storage, 1GB bandwidth, and a subdomain. eCommerce feature is not included. Poor functionality compared to competitors. Is it worth to use SITE123? Yes. 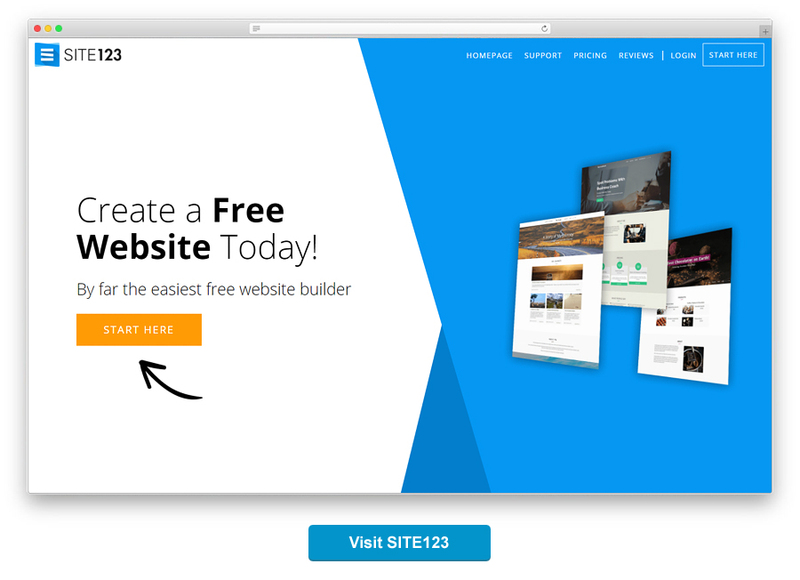 SITE123 – is a really easy and free website builder. SITE123 is a solid average website builder in its niche. 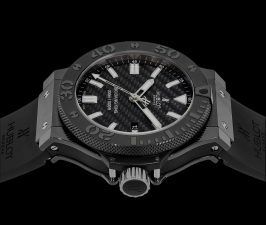 This product won’t offer you something unique than its competitors will, but at least one is a good option for small personal and commercial websites. Making a high-functional site builder for “dummies” is quite a challenge – the more useful options it includes, the harder it is for an inexperienced user to figure them out. But Weebly seems like the service that managed to find a golden middle. Despite the fact that it’s one of the most advanced website editors, it’s pretty straightforward and simple in use. Weebly features a large number of functions used by more than 10 million users. The free plan works well for both a business card website and a small eCommerce store but is only limited to 5 pages. 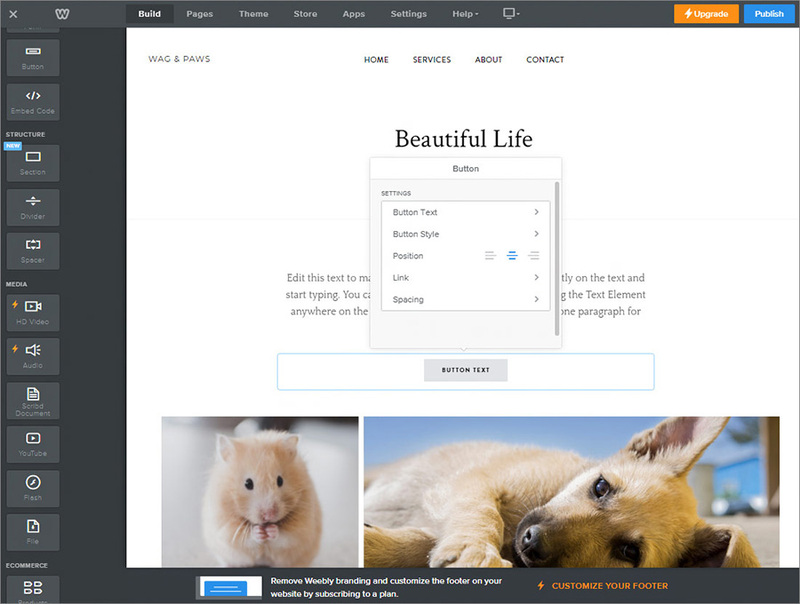 Weebly offers more than 100 various premium themes that can be easily replaced during the process. From the other side, the interchangeability of templates points to their overall uniformity and likeness. 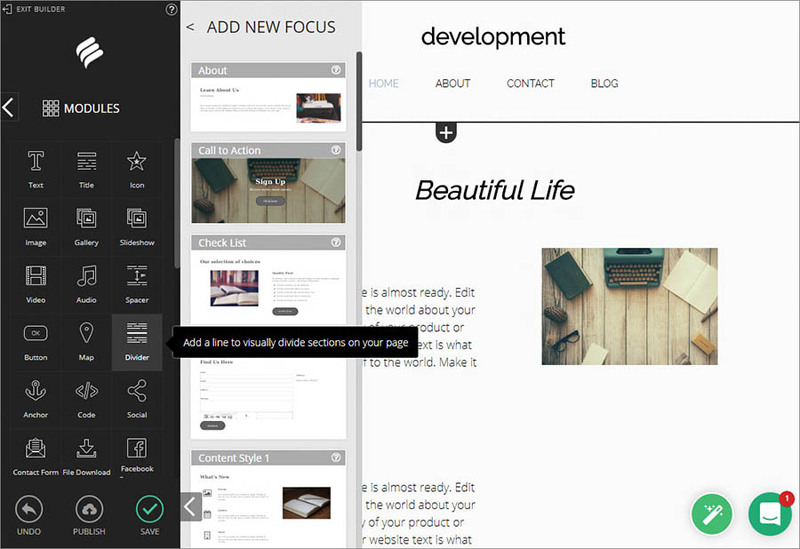 In spite of the limited number of instruments, the Weebly editor seems to be very flexible. Page editing is available not only from the front-end but also back-end due to the accessibility of CSS files. Among the other cool features, one allows you to edit a website from the mobile version of the builder without any restrictions. In other words, the platform puts no limits on adding or deleting elements in the mobile editing mode, as if compared to Wix. Availability of built-in app store. Templates look similar to each other. Is it worth to use Weebly? Yes. 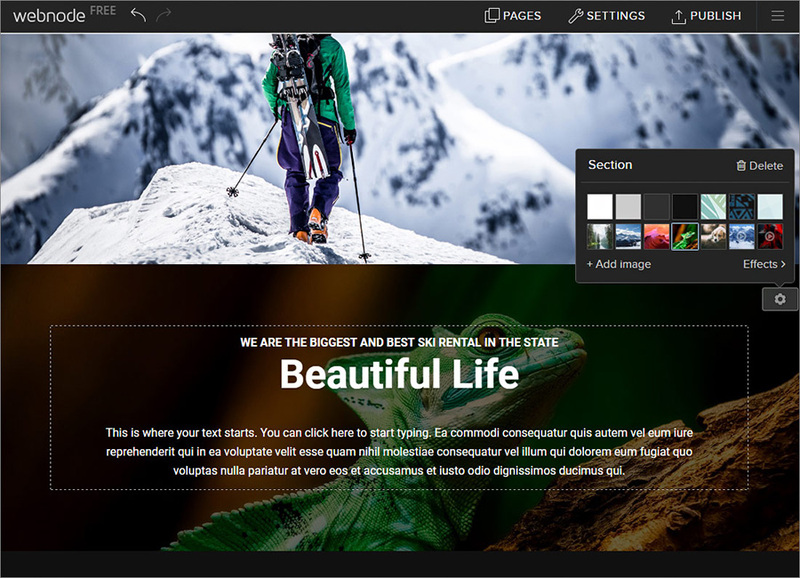 Weebly is one of the few website creators which allows webmasters to edit HTML/CSS code for their website. It will be highly appreciated by more experienced users. But at the same time Weebly is simple enough and has not bad functional options. We recommend it for developing a websites for small business. 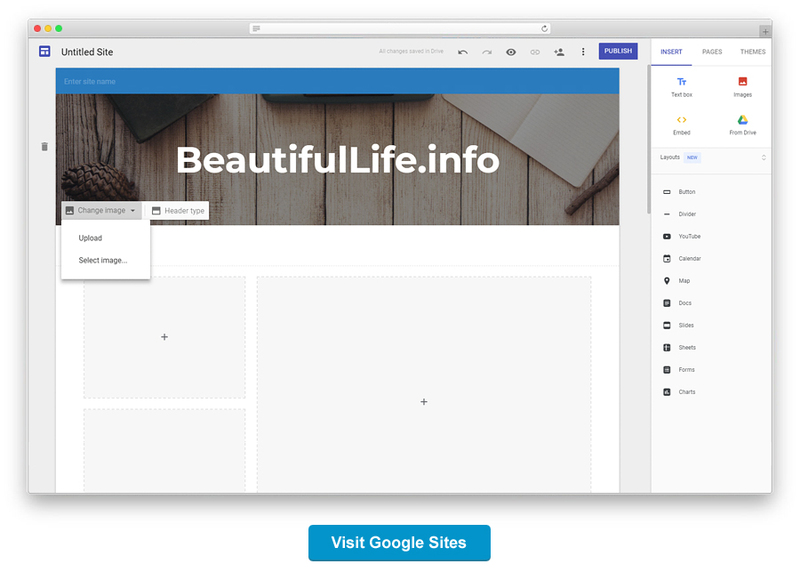 Bookmark is an innovative cloud-based AI-powered website builder that can definitely impress even an experienced user with a balanced set of features. The service can boast of friendly service as well as appealing and well-structured design. Serves best for developing business websites, landing pages, and online stores with responsive design. Interesting interface, creative web design process and unique system of statistics collection – it’s obvious that the developers tried to make the system stand out from the crowd. Have they succeeded at this? Yes. Bookmark functionality is above the average, which makes it a good choice for beginners as well as for the web design experts. The platform works best for creating different types of business websites. If you opt for a free version, you can count on free hosting, free subdomain, 500 MB of storage, mobile editing mode, and branding from the provider. Creating a full-featured functional website takes several minutes. Small signature fonts in the visual editor. Is it worth to use Bookmark? Possibly. 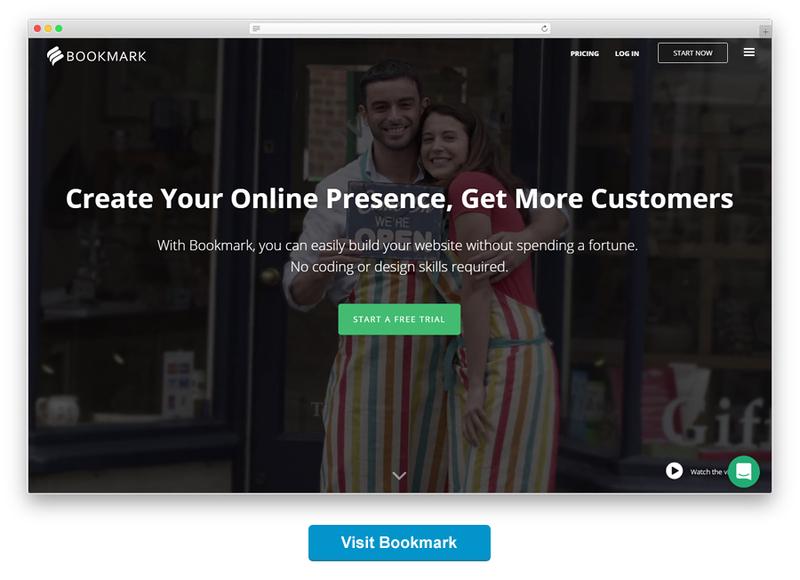 Bookmark – is an attractive full-featured website builder. It doesn’t offer any website templates but has a wonderful AIDA to assist you during the process. 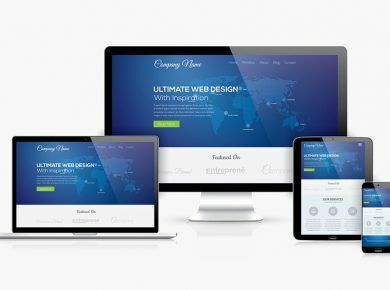 The tool makes it possible to launch responsive websites for multiple businesses and do it in a matter of several minutes, while the result is always impressive. Jimdo is another visual editor with a user-friendly interface and a strong focus on small business entrepreneurs. The basic Jimdo plan is suitable for creating a blog, business card (corporate/personal website or portfolio) or an online store. 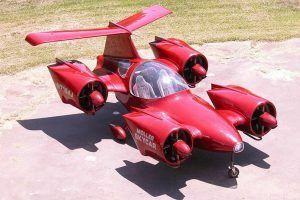 The latest version of the builder was noticeably simplified – the developers made an emphasis on simple features for beginners, and at the same time pushed back the interests of more experienced users. Now it offers minimal settings and even provides hints on how to work with different page elements. The structure of the configuration sections is extremely logical. Separate sections are responsible for creating a store and a blog, as well as for SEO, design options and a domain attachment. General settings are minimized: code insert, protection of data and website pages, plus some common things like favicon, links in the footer, logo, display of the “Up” button and so on. After registration, you’re opened to 16 templates with different page layouts. As you visit the administrative panel, you can change the template to one of the 38 proposed templates, although they are considered as styles or skins. Such styles change the shape, size, and color of the menu and slightly affect the layout or other elements. In other words, you first choose a template and then try on its variations. 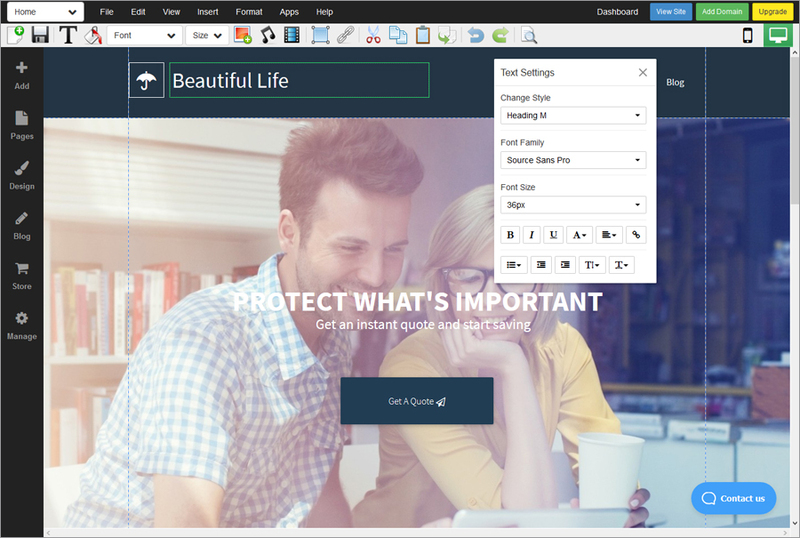 A nice visual editor allowing you to customize the website on a deep level. No SEO option in the free plan. Is it worth to use Jimdo? Yes. 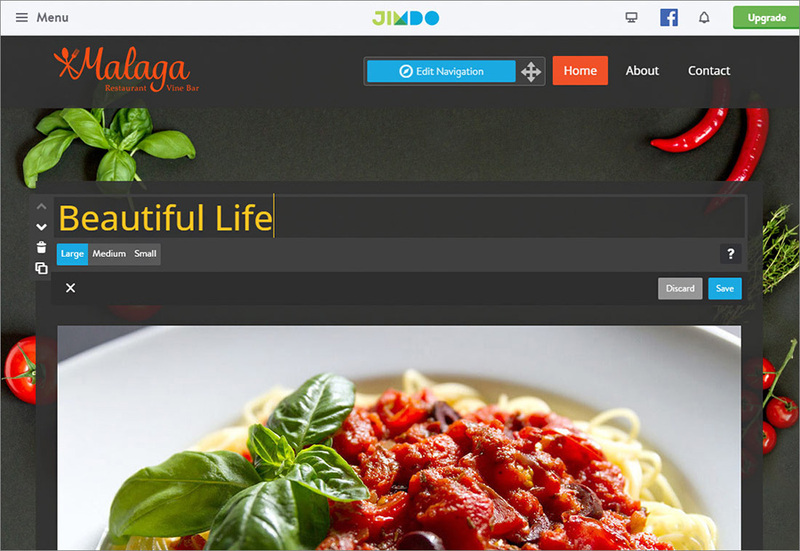 Jimdo is a free website builder and allow to develop absolutely different website. But its free plan has more limited opportunities comparing to its competitors. But you cannot say this about premium plan. We recommend Jimdo for creating ecommerce stores. Ucraft is a versatile website site building plans for creating stylish resources with an original flat design and concise widescreen blocks. It is used by both beginners and advanced users in the field of web programming. 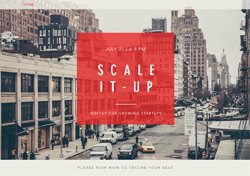 The target audience of this platform is owners of blogs, landing pages, and business cards. 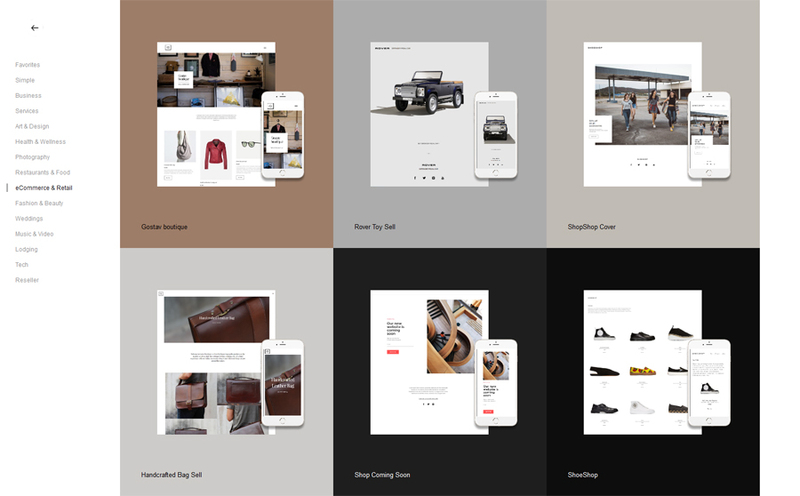 The design collection of the system includes many responsive templates for online stores, landing pages, and sites of various subjects and directions – about 80 of them in total. Any selected theme can be changed and adjusted to your own project. In addition to the standard features, the visual editor is equipped with designer tools. They help to make your website design even more unique by using different typography, button/field design and layout options. The editor features a panel for adding such effects as rotation, parallax, and emersion. The control panel displays a separate unit for synchronization with third-party services. The list of available connections includes various services of Google, as well as Intercom, Paypal, and YouTube. 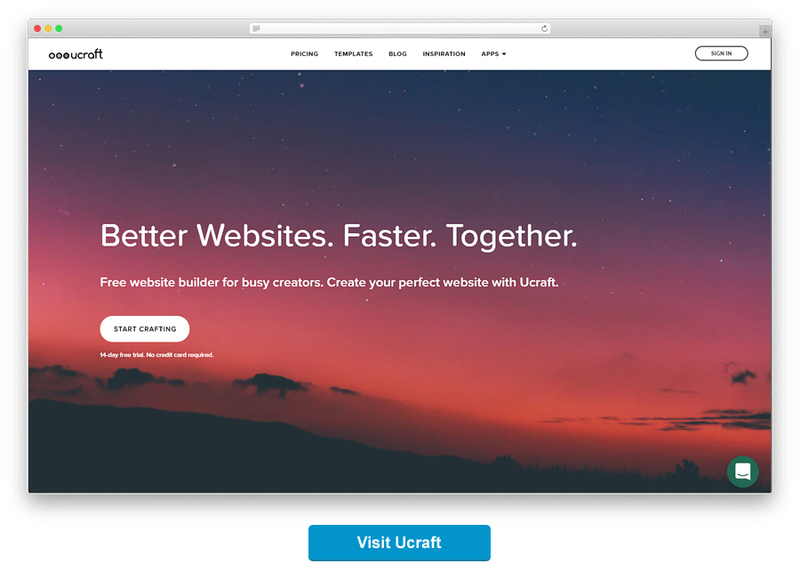 Ucraft offers free plan set for an unlimited period allowing you to create only 1 landing page in it and connect a second-level domain. The list of ready-made themes is rarely updated. Is it worth to use Ucraft? Possibly. 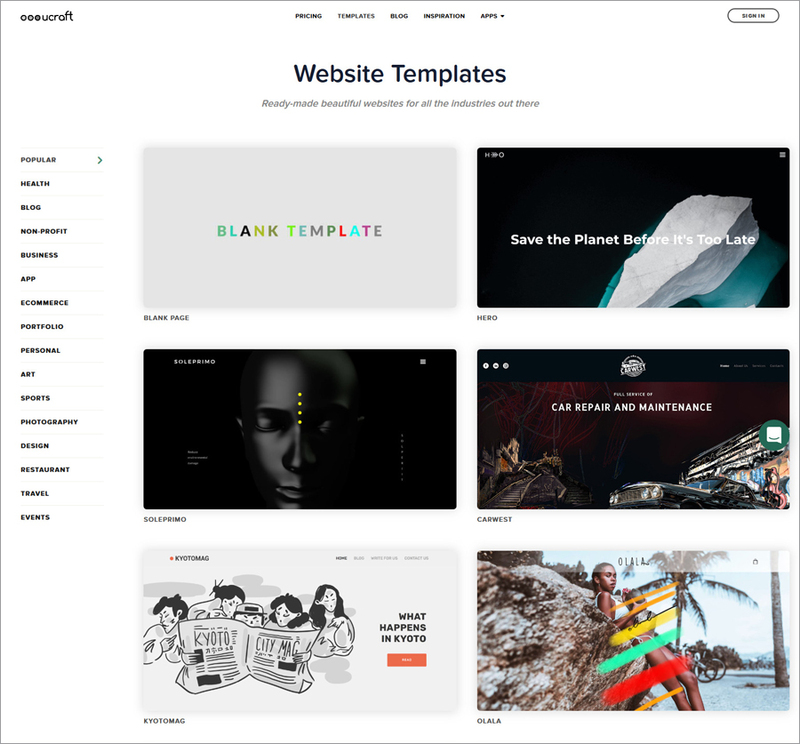 Despite not so big selection of web templates Ucraft is convenient and simple.The free plan includes cool and at the same time simple customization tools. It is also great for creating websites and online stores, especially if you want to add multilingual content and enter the international market. Ucraft has everything for it: from integration with third-party services to several dozens of payment and delivery methods. 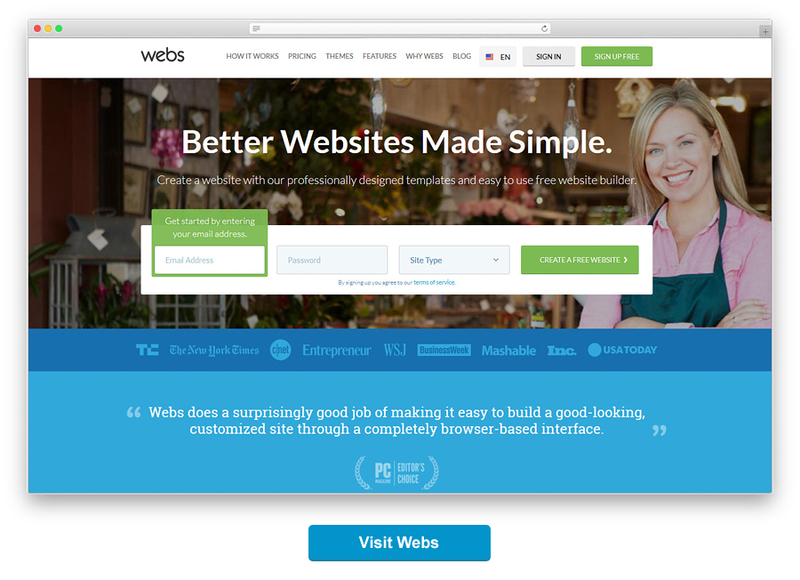 From the first side, WebStarts seems like a great simple website solution. But from the other, one has a lot of hidden costs you probably wouldn’t want to come across. The good news is, the service has many useful tools and powerful options that can truly bring your business website to a professional level. It can also be considered as a free solution for personal use. WebStarts offers a sufficiently large number of templates divided into logical groups. Some templates might look old-fashioned, but if you search well, you’ll surely find some really chic options. The free plan provides 1GB of data volume and the unlimited number of website pages. Also, it gives you a chance to switch and change the builder themes however you want. Everything can be customized, from colors, fonts, images to text fields and so on. Unfortunately, audio, video, slideshows, and online galleries are available only in paid subscription plans, just like the feature of social media integration. Is it worth to use WebStarts? Possibly. Indeed, WebStarts has a chance to become a good website builder – but only after fixing several annoying bugs. For example, a lot of users were unpleasantly surprised by unexpected payments on their accounts, as well as by the fact that getting their money back was rather problematic. In addition, too many features are available only at an additional cost. Google Sites has always been simple and accessible. But when it comes to the newest update, one is sure: the platform has progressed even further. Now, developing a web page is no harder than writing a simple document. A completely new interface, designed in the spirit of a “material design”, looks very impressive as for the free builder. All control and functional elements are located on a single panel with several tabs and each taken action is followed with hints in case you are a novice user. Integration with your Google Suite. In addition to text and images, your website may contain embedded objects located on other Google services. Just one click you’ll be able to embed Google Drive docs, Google Maps, YouTube videos, etc. Note down that the platform is completely free with unlimited use, traffic, and websites (unless you buy a domain from one of the site registrars or exceed the storage limit). No good for external websites. Is it worth to use Google Sites? No. Despite its recent update of Google Sites this site builder platforms is more weakly than most of existing modern sites builders. It has primitive templates as well as very limited options. It’s obvious that Google Sites is not the best solution for creating external websites. Webs is perhaps the oldest DIY website building platform launched back in 2001 under the name Freewebs. At the moment, more the service helped develop more than 65 million sites, while the number continues to grow. What distinguishes Webs from other builders? One allows you to deploy a membership system on your sites. A part of your website content will remain open to a particular group of members of your site. Such a unique feature is available only in this particular builder. Is it worth to use Webs? What is the Most Popular Website Builder? You can talk about popularity of website builders by comparing the two parameters: number of built websites and number of requests to Google. Accordingly to our table comparing website builders the most popular are those website builders which were created over 10 years ago. For this time they’ve managed to interest tens of millions of users. So on Wix for all this time were created more than 110M websites. 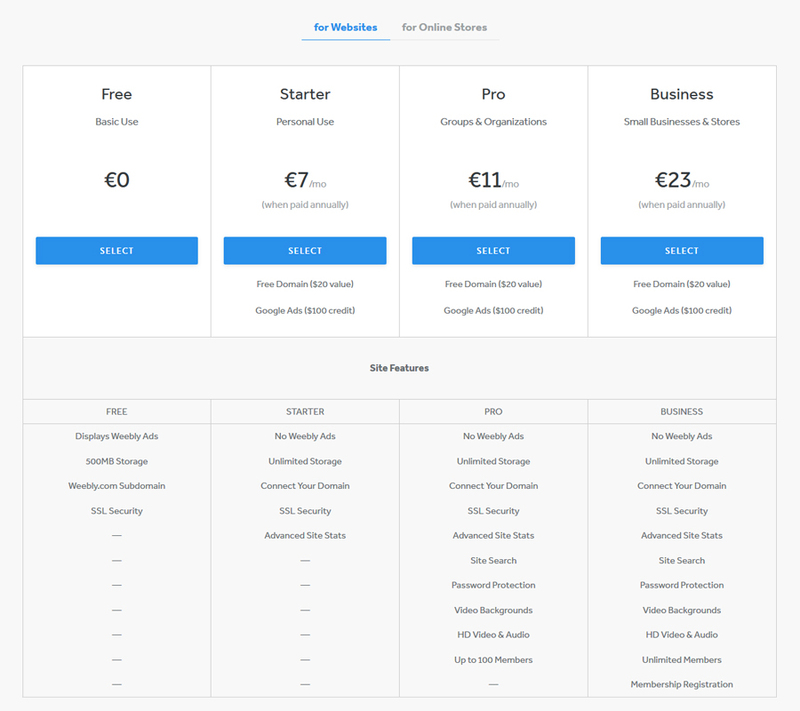 Weebly – twice less. Webs which was launched in far away 2001, was able to make 55M websites. There is no statistics for Google Sites – but we can predict that the number will be commensurate with Wix. As you can see on this graph, absolutely leader by popularity is Wix (blue line). It was searched almost three times more often than Weebly (red line) and Google Sites (purple line). Jimdo (yellow line) is less popular than Weebly but larger than Webnode (green line). The rest website builder, which aren’t presented in our graph – have even lower popularity. Their graphics are simply not noticeable on the background of these five. It’s also worth noting that in different countries, the popularity of website builders will have different ratios. How do Website Builders Work? A website builder is a special online service that includes tools and instruments made for developing and managing web pages of your own website. All project files are stored on a remote server – web hosting. The user can get access to the service account from any browser or mobile devices. In particular, they have solid iPad site-editing apps. In general, website builders do not require additional installation, configuration, or administration. The system guarantees its functionality and security. The user only needs to focus on the developing process that one performs by using a special drag-and-drop builder. It allows users with no experience in web design and programming knowledge to create a website in a visual real-time mode. The user gets access to ready-made elements and additional apps or widgets so that one can create cool designs and insert this functionality directly to the website. Using cloud builders like that is beneficial in all aspects. They also attract professional web designers who can instantly master their skills and create an advanced project in a very short period of time. A wide choice of platforms for creating websites allows you to choose a system that is best for performing your particular task. SEO optimization. Most website building platforms include at least 1 promo tool. SEO features are by far the most common way to bring your website to the top search engine results. How to choose a free website builder? The quality of your result depends directly on the choice of your website builder, whether you’d like to buy a paid version or limit yourself to a free one. That’s why you need to take time and focus on choosing the best option out of offered ones. Step 1 – Set tasks. Determine what type of a website you need. The functionality you’ll need to create a landing page and an online store can vary. Most website builders, for instance, do not offer an eCommerce option, so your choice will be significantly limited, compared to options that work for landing pages or portfolios. Step 2 – Select what service will work best for your website. For example, systems with a visual editor are best suited for creating business websites. Fortunately, most platforms are rather universal and offer pre-made templates for different industries and purposes. Step 3 – Analyze the “possible” costs. The trickiest thing about almost all free plans of website builders is that they are not completely free as you expected. Many of them are simply useless until you purchase some additional add-ons, widgets, and features, like SEO, social media integration, or templates, etc. Make sure you know what you’re going to pay for and whether you are ok with making those extra purchases. Step 4 – Test. Use a free plan or a trial version to check the system parameters and suitability. As soon as you get that valuable user experience, you’ll be able to make an objective review of all builders and finally pick the best one for yourself. Website Builders vs WordPress. What’s better? No doubt, WordPress requires more experience and technical skills than website builders, especially when you need to deal with the code. WordPress plugins ensure its better flexibility compared to site-building platform, although they require additional configuration. Website builders, on the other hand, provide ready-to-use plugins. Every drag-and-drop site building platform provides free web hosting services. It’s a significant benefit compared to WordPress, which does not. The latter, however, gives you a chance to export your website and move to another host. In general, the choice in favor of either or or another depends on your individual needs. If you want to create a website for a fairly standard purpose without going deep into the configuration and or the necessity to use various tools, you’ll be satisfied with any of the above-mentioned website builders. Those will save you time, nerves, and even money. The time and efforts spent on learning the programming languages , the necessity to set up/manage hosting, and find/select WordPress plugins, can be used in a more profitable or pleasant way. Yet, if your goal is to create a non-typical or a very specific and unique website, and you also want to have ample customization opportunities, WordPress will be a much better choice. What is the Difference Between Free and Paid Website Builders? Imagine that a free website builder is a small room in a hostel with a shared kitchen and bathroom. A paid builder, however, is a cool apartment in the location that will directly depend on your budget. A premium account gives you more freedom in actions and opportunities compared to free platforms where users must simply comply with the given terms and restrictions. For instance, the site owner is provided with a certain amount of hard disk space, and as a rule, it’s impossible to increase this volume. Each user chooses one’s own site-building method, depending on personal skills and available funds. For someone, using a free builder is enough for developing a simple business card, while others need a corporate site or an online store with the functionality provided by more advanced website builders. Today, the market is full of builders that manage to combine paid hosting and other premium options with basic free perks. For example, Wix offers to create quality custom content by using some free functionality. At the same, though, it offers to expand the initially given features to more expanded opportunities. At the end of the day, such plans are the best option for website owners with poor knowledge of servers, domain, and CMS. 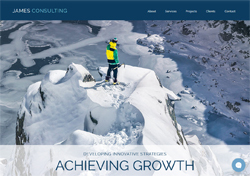 Web Development Expert and Web Interface Developer with more than 8+ years of experience in Website Development, UX Design and interface development for SaaS services. I'm experimenting with the development of websites on various online platforms and CMS with open code. During the last 4 years, I've been putting my thoughts on my blog: WebBuildersGuide.com and also I'm an author of many articles on many well-known Web Development Media. My articles are published on HackRead, Contrastly, 3Dcart Blog, Hacked, Template Monster, CareersInGovernment, Design3edge, MGwebmaster, Wploop, etc. Thank you for sharing some free website builders i was looking around for the list of website builders and you provided me for free. Great free website builders review. Very useful for me. Thank you! Some of them are really new for me. I have not even heard about them. Right now I’m thinking about how to develop a good website and it would be great to do it for free.. really hope on your review. 5 years ago I’ve created a site on WIX for myself and I’m satisfied till now and continue to use this website builders. I’m not going to promote it but you won’t find such beautiful web templates in any free web builder. As well as in paid ones. Also there won’t be so great choice. Just visit and check. And after you set your web template on Wix – and then on Weebly, Webs – or any other website builder. Feel the difference between thoughtful drag and drop editor from Wix and what other platforms offer as web page editor. This is a huge difference. That’s it’s not weird for me that there much more sites made on Wix comparing to any other website builder. There are so many free website builders that it’s hard to make a decision. What will you say about a WordPress? I was advised to use it, but it’s not listed in your rating. WordPress is the biggest my mistake… I’ve spent a lot of time and my nerves and after all I’ve deleted everything and went to Wix. The conclusion that I’ve made – if you do not know HTML, databases, connecting domain names and hosting – WordPress isn’t your variant for sure. WordPress is a Content Management System with open code but not a website builder. 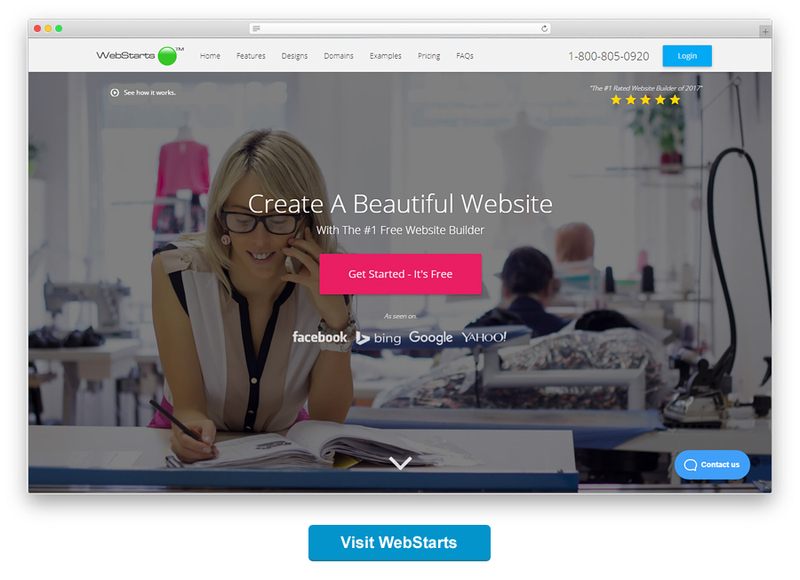 Our review is dedicated to free website builder software allowing to build sites online. And which do not require from users any special skills. Thanks for sharing these free website builders. It really helped a lot in deciding which website builder is well suited for my needs and what all to take care about while choosing the website builder. All that you’ve listed – is supported by all popular website builders. You can take any free web builder from our list – it’ll be enough for you for creating such website. If you’re an absolutely newbie – I recommend first 4 creators. I need to build a social/dating website. Any suggestion suggestions “pH7CMS”? Webnobe should not be on the list. You have to purchase for your site to be indexable. Absurd. I don’t know what are you writing about but I have a website on Webnode: and definitely satisfied with this website builder. He has easy user friendly interface – for me it was very convenient since other web builders from this list were too complicated for me. Perhaps they are also very good, but I’m not ready to spend many weeks to understand how another one website builder works. The second thing I liked in Webnode – I can edit CSS where I want. As far as I know not so many website builders allow to do this. I would rather say a few. Is there any way you can Export to a .ZIP file your website on GoDaddy to use on another Web Host? Ho[e you can answer this question for me. Thanks! I would advise building a dummy website/blog first using free blog platforms like Blogger, Tumblr or WordPress because their settings are very easy and no terms or conditions to bother you. There are a good number of readymade templates also available. If you are satisfied with the performance, continue, later you can have your own domain. If you are running a business and desire a professional-looking website, go for the website building platforms described so nicely in the article above. I wonder why it doesn’t mention Yola. These platforms are very easy to use with their easy drag and drop gadgets with a lot of variety to choose from. But they have got their own terms and conditions, understandably so. If you are familiar with basic coding, you can create a basic xml template with readymade softwares installed on your computer and then transport it to your desired platform. Artisteer is my favorite. This process is a bit complicated, thogh. This is created with Arstisteer and hoisted on to Blogger. There are just so many builders these days compared to back in 2010 when there were like 3, haha. It’s helpful to have posts like this break it down a bit to get some perspective. I’m going to check a few website builders from this list and choose the best. Which web builder will you advice for this? Do you have any preferences regarding this matter? This is the best I’ve ever read about website builders. Thank you for informative and useful post! Great article. It helps me to start my first blog. I recommend everyone to follow this blog and create a great blog. options, others I would very much like to explore before proceeding. I am trying to choose a website builder platform to build a simple “angel investment sharing and discussion” website to mainly adn easily share with others many (more than 50) porfolio companies. Which ones of these 15 would anyone recommend? I would advice you – base on website templates – if you will find good website template which fully correspond to a topic of your site – then you will get a great website for sure. 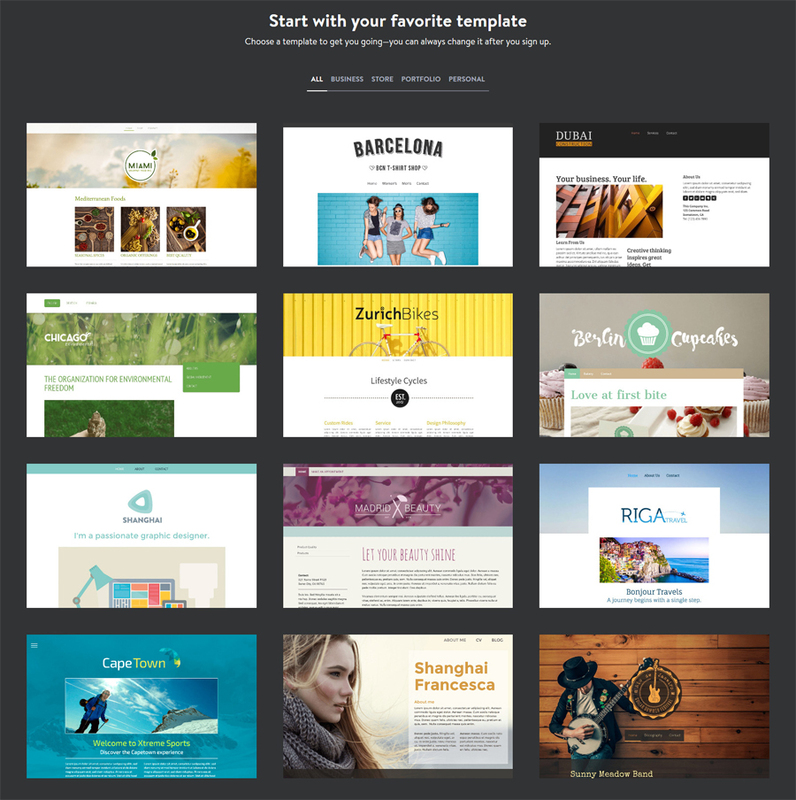 Firstly try these three: Wix, Jimdo, Weebly – they have a huge collection of web template. This is in case that your website doesn’t contain shopping cart. In other case pay your attention to Shopify and Bigcommerce – but they aren’t free as the first ones. Very helpful. Good way to start making website! 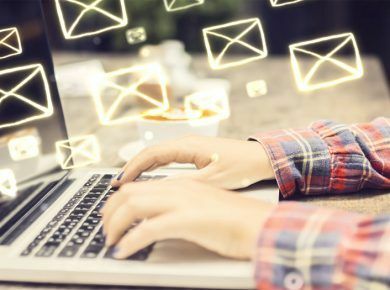 Great article, but I wouldn’t use any of these hosted companies. They are proprietary and you are stuck with them. You can’t move your store or domain to another hosting company. God forbid if they go out of business or they go down or there credit card system doesn’t work. You are screwed. Use Magento, PrestaShop or WooCommerce. At least you can move these stores to any hosting/server company and have control. I’ve been using Magento on eComLane for over 4 years now, and I’m extremely happy. Imagine if someone say “Hey, this is not allowed on our platform” and you already establish a business and have lot of visitors. I’ve already had a bad experience with Weebly and some “free” hosting companies and lost money with them. They just block your website and your business or dead!!! If you have an offline builder (software) to build your website, you could build it the exactly way you want… even upside down! You can’t do this on platforms with modules! Also, you could move to different servers you like… thing you can’t do with platforms! So, it’s better if people avoid these platforms, because they become their prisoners! And finally, I think, that it is good to build a clean and informative website, better than beautiful one! Weebly is one of the fewest website builders allowing you to transfer your Weebly site to other hosting. Doesn’t it look strange? But it is so – just check! Which is the best to build a free store with free shopping cart or is this not available at available at all. Did you find an anwer? Great post. A lot of good options. And a complete write up of information. I like how you’ve talked about the differences between free website builders and paid website builders and what to expect. 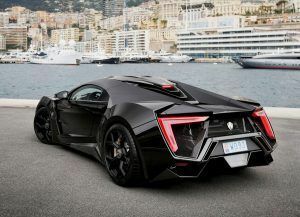 I think that among the best attributes of all that they offer is that SiteRubix comes with complete security, 100% spam free environment and completely free affiliate marketing training. Which of these sites can be used to create an online store and why? And which sites can I add google adsense to? (DO not say weebly because I already use it). This is review of exactly free website builder. 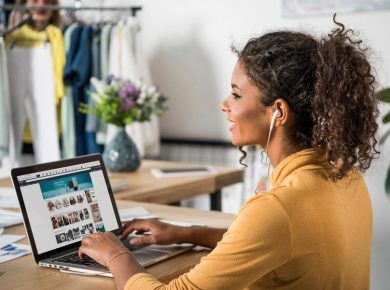 Some of them allow to create online stores (Wix, Weebly, Jimdo, Webnode) but as a rule these web builder platforms aren’t specialized for ecommerce. 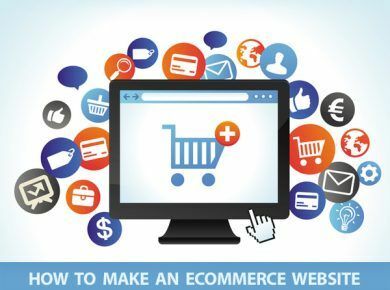 If you need to develop a good online store – better check other our review: Top 10 Best eCommerce Website Builders for Creating Online Stores. There you will find not only free web builders but also paid ones but all of them allow to create online stores. Maybe I am the dumbest guy on the internet, but I as of yet have not been able to create my own website. To me, these website builders are so hard to use, and so mysterious, that I just don’t understand how to go about using their stuff to create a website. One thing that I have noticed is they want you to register with them BEFORE they tell you how to use their information. Also, they tell you that you will be up and running in seconds, man is that a joke, when I hear that I know it is going to take a very long time to get up and running, days, or never. These people know how to do it, but for someone who is a complete amateur it is very hard. If anyone out there knows of a free website builder who can explain very clearly how to go about it, I would appreciate hearing about it. Thank you. Stop being a wannabe! Get a web dev (Google web designer in your area) to build you a website. I’m sure your requirements aren’t going to be overly complicated and costly. I want to build a rocket so I can find other intelligent life.. Knowing perfectly well I don’t have the qualifications nor expertise, I reregistered to some services that provide me that info. For the start please tell me – how old are you? I’ve been using Wix for the last 2 years. For this I’ve tried to use Weebly and Jimdo – they’re not bad but their opportunities are obviously lower than the ones I get from Wix. At the moment I’m fully satisfied with Free plan but in future if my website will get more traffic I will use their paid options. I want to say that even free websites on Wix are really great – it’s not an ads. Everything I paid for is 4 Euro per month for Connect Domain. It gives me opportunity to use my own unique domain name. I know it’s slightly inflated price for domain connecting – but still Wix is the best one from free web builders – I have experience to compare. Do you want to say that it’s possible to add your own domain name and at the same time do not buy any premium package? Cindr is worth a go. Really simple compared to a lot of other builders. I already have a web hosting service. Do any of the free website builders have restrictions on its use since i won’t be using them as host? Thank You. Website builders including Free – are the ready-made SaaS solutions and they already include free hosting. So you won’t need any other hosting service if you’re using web builder platforms. Building your own website can become a hassle as one has to do all the tasks on his own. I have used WordPress, Shopify and ShoppingOwn till now and out of all, I personally loved ‘ShoppingOwn’ as they provides personilized store with app and one has to just go and add the products and the store gets live in maximum 24 hrs. So, I think shoppingown is the best solution to build an ecommerce website. I truly think the using a CMS is great, and surely WordPress has changed the world with their open source platform. Thing is, people like the simplicity of services. Weebly is great. I think Wix is pretty similar (a bit better for my taste), but they are very close. Both are based on a freemium model and offer great templates. Hi. Is there a platform where you can download the website created without having to host with them? Most seem to offer free building but you have to host your custom domain with them to have a ad-free setup. Great post and it is very helpful for who want to create a website for free, thanks for sharing with us. I recommend yola.com. Free web site builder. I’m suprised to see that Tictail isn’t mentioned…? To me out of the free options Tictail is by far the simplest e-commerce solution. However as with the above mentioned alternatives the design is the hardest part to nail. I would say spending somewhere around $10 a month makes it worthwile. Out of the paid alternatives I would say Shopify and AnyWebstore.com are the ones I’m most impressed with and I’ve tried quite a few. Another option is of course to buy a WordPress template and use WooCommerce but since WordPress is built with PHP things can get messy..
Hi everyone..I’m looking for free website for my band which can offer free hosting & allows me have custom domain name. I’m confused which one among these will be best? WIX – intuitive, simple, perfect (a lot of volume, for large). 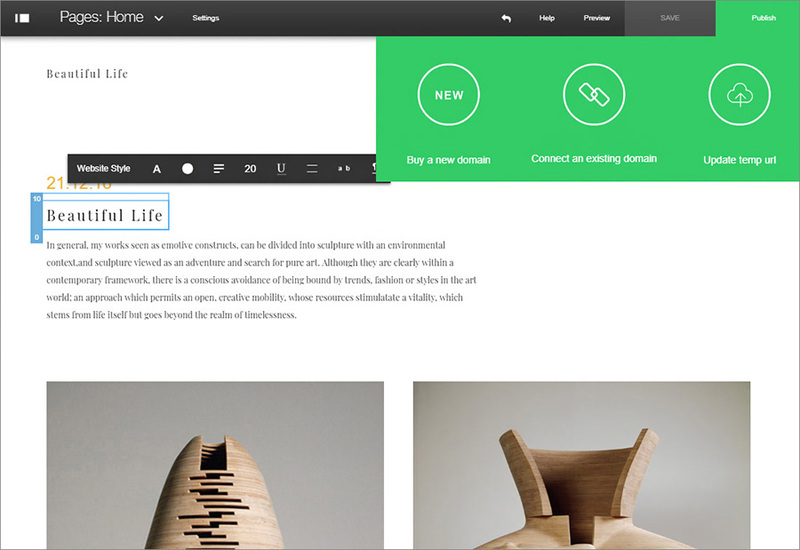 Jimdo – simple, easy, friendly (ideal for small website). Great post and it is very helpful for who want to create a website for free, thanks for sharing with us. My favorite always WordPress self hosting. Best, easy, and has many plugins. Why did you decide that these are the best website builders? In my opinion you cannot call Imcreator and Weebly the best from the best. Yes, they are not bad and yes, they are quite popular – but they are not the best ones. In my opinion Squarespace is much more professional website builder than any other one featured in your list. Of course, you can delete my comment but in this case your list won’t be objective and independent – you have to consider opinions of your readers. Erm, the article is about free website builders, Squarespace doesn’t have a free option. Great list of site builders, but I didn’t notice SquareSpace, heard a lot of good things about it, thanks guys. Because Squarespace is not free. This article offers a comprehensive insight into, which amidst the various website builders is best suited for your precise needs. Everyone is eager to build a website, but few have been able to get it right on the builder related issues. It is a brief guide on how to achieve the goal quickly and in a simple manner. Very useful and informative list. Waiting for more free blog lists. I have tried multi websites and I highly recommend webstarts!! please, can me someone recommned free builder for a discount web (like groupon?). wix is wrong website and weebly not good same company.webside builder is best.snap page little one tool better.he not have freedom his tool.i right know check it if any builder i see best then must tell you.30 days must free all tool then i like then payment give.but every one that time i check have video problem give.that builder to better all free Zoho. Wix is the best choice. Website building has become very easy with it. It is very easy to use. Good by WordPress and Drupal. 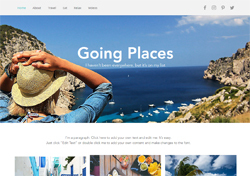 No one website builder has such beautiful website designs as wix. I always use WordPress like a my favorite platform. Through this article, I know much more new platforms to build website easily. Thank you so much. Peace, what is the name of your church, location, did you get a website yet? Nice post. i have found my necessary site builders here. Well done. Some of the free website builders are great, but it depends what you want to do, if you just want a personal blog they’ll do. But if you want to build a business or a brand then you will need something that gives you more flexibility. Thanks for info. These free website builders are exactly what I was looking for. The only thing to do – it to find the best website builder and preferably with no ads. This is certainly a great list free website builder. Though I personally believe Own domain and Hosting are one of those primary invest which one could not over look if they want to be a professional Blogger or build a commercial website. Still these are quite useful for amateur blogger. This free website builders are great. But over the years, they dn’t offer only free service but also customer support. Beautiful Life, you guys rock! You’re not right. All free website builders featured in our list are still absolutely free. Of course, if you want you can buy more opportunities for additional fee – but it’s not necessary. You’ve written your comment in 2014 – now it’s 2016 – but Wix, Weebly, Jimdo and other free website builders are still free and what’s why they’re in our list of best free web builders. Also there are new website builders, many of them are free. People like free products, that’s why many companies make basic version of their product absolutely free, including website platforms. Do you want a free website for 5-15 minutes? – Ok, use free packages. Is it not enough for you to have opportunities of free package? – pay little more and enjoy advanced opportunities of your new website. It’s easy! No one fools no one! I like snap pages, it’s easy to build a website. Thanks for this review. Currently I’m looking for proper website builder and your list will be very useful for me. I prefer to use Wix. It is the best free website builder I tried. but people saying its not mobile and seo friendly . Even , its known that wix sites google cant read . its an one page website because flash . how you will consider it??? Flash is already dead and Wix doesn’t use it for a very long time!! Yes, they used it – but it was long time ago. Now websites created by this builder are fully responsive and absolutely SEO friendly. Thank you for review. It’s really good but I would limit by 3 web builders – wix, weebly and jimdo. The rest website builders from this list are obviously weak comparing to these three. Yes Wix to me is by far the best website builder out of all the site builders on this page. And like you say for a small monthly payment you can upgrade and get more tools and no ads. Lifeyo is relatively new to this market, but Weebly has been around for a number of years already. They now boast more than 11 million users, or about 10% of the internet’s websites are created through their platform. To whom you wrote this comment? If to the admin of the blog – we have no relationship to the comments on this post. And now about free website builders – all website builders from this list are absolutely free. Try it and see for yourself. Perhaps functionality and features of some free web builders will seem inadequate – but this is a subjective opinion of your. In fact, these builders are free, your thoughts about their professionalism don’t have any relation to the subject of this post. What is the use of a free web builder if you can do nothing with the site once you have built it. Please inbox me those sites name that allows you to build without demanding payment. Using one of these sites would be the same as wanting to build a new house and you find someone that has a do-it-yourself kit and you buy the kit but by the time you get done putting it together all you have a is a garden shed. It provides a roof over your head but that is about it. Thanks for this list of website builders . I think the best one is Wix . Puzl.com is also a great DIY tool to create a professional website with. I don’t like free web builder services,I build self-hosted website by WordPress. I used Puzl.com. It is an amazing platform to build a website if you are lacking coding experience and you need a professional cutting cost website. 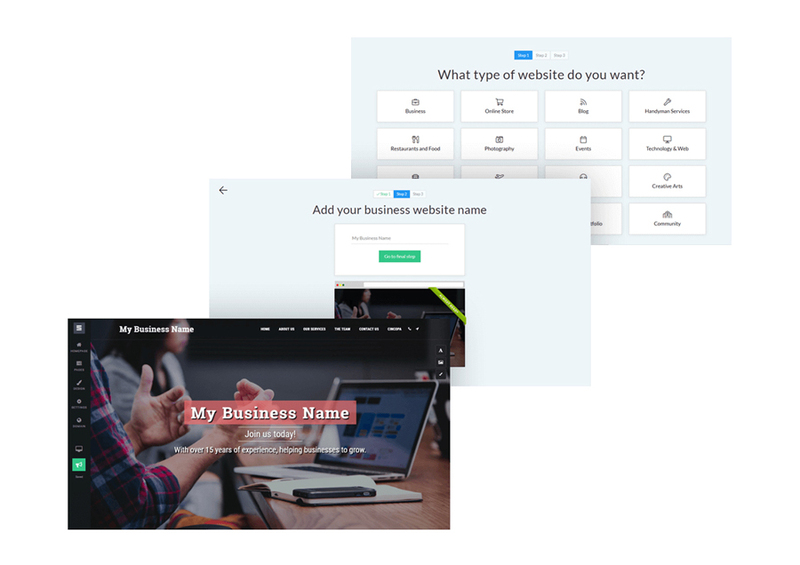 Puzl is a free one and offers great selection of business templates and a number of widgets to help you build a fully personalized website. I cherished excellent results building mine Puzl site. Hello Mary, what is the advantage if you can not integrate coding? I mean´, I agree it is nice to have drag and drop but you still need coding interface to copy and paste code snippets like Adsense, PayPal, Facebook like boxes and much more, don’t you think so. Hey, That’s a cool builders list you have here. but the preview images are not loading i have to click and view the site. 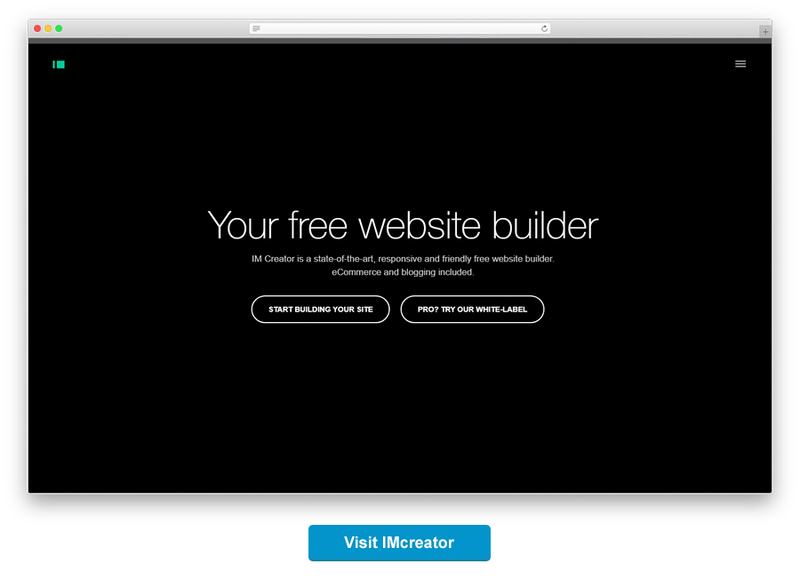 it’s not on the list, but a great option for building websites is also IMcreator.com. i built my website with it and i have no programming knowledge. it based on a very simple drag&drop system that allows you easily design. i managed to complete my website in a few hours and surprisingly, it came out great. of course it’s free of charge. 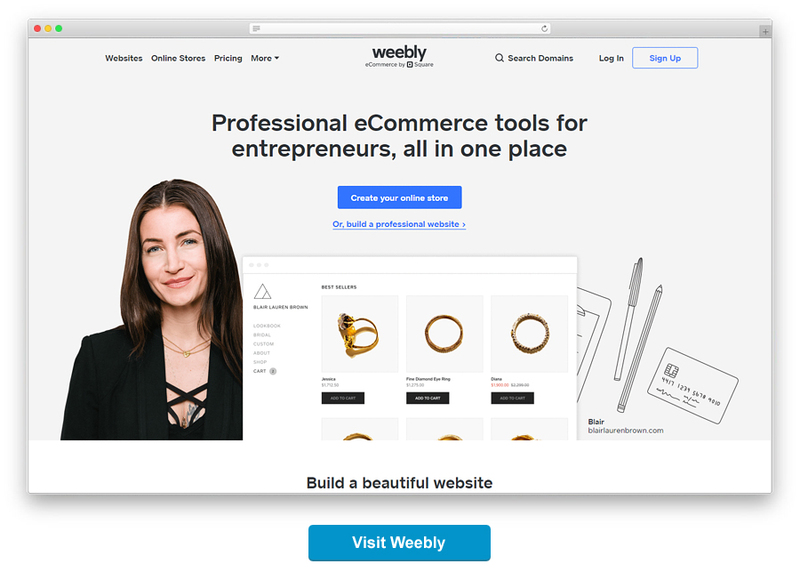 Weebly is another great free website builder, and with this referral code you will start off with $10 towards getting more features, although the basic features are great for a free website! 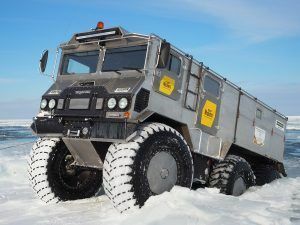 Brilliant blog! I genuinely love how it is easy on my eyes and also the facts are well written. I am wondering how I may be notified whenever a new post has been made. I have subscribed to your rss feed which ought to do the trick! Have a nice day! Does anyone know of a free website builder with a cpanel and allows a Remote MySQL? WEBNODE – good builder. if you try, you can get a decent result. These are all great options and a good starting point for people who have no clue how to start a website. The downside is that some of them are so laden with ads, it can be pretty annoying. Is it possible to create a free website having responsive design? does any website builder offer it? Its good for that’s type of people who want to be website builders. I already visit your website really its a helpful for me. cool. i need. thanks author. Yola has just changed their free site to a limit of three pages, which makes them totally impractical. I would have rated them 10 (strong customer support) but this limit makes their service almost useless for free users. I found this web page as a most excellent web site for most recent updates. thank you for sharing great post. uh- weebly and google sites are both better then any of those! Thanks for putting together such a great list! When in a pinch a free solution that works is sometimes necessary. I myself is a blogger for more then 5 years now and I am very excited to say that there are a lot of free websites available now a days that we could utilize. This list of website builders is quite good and informative. Thanks for this one buddy, I might sort these out and choose another site to start on with my new blog. Weebly is not the best website builder. Yes, it’s convenient and has intuitive interface but their web templates aren’t good. 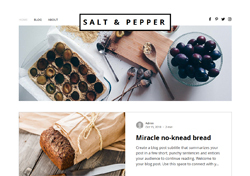 Compare them with free templates from Wix or with paid ones from Squarespace – they are really worthy and beautiful web templates. Weebly doesn’t have such. I think that many believe that Weebly is the best website builder because everybody talk about it and not just because it’s the best. It’s like about IKEA furniture – many like it but I wouldn’t say that it’s the best. It is in reality a great and helpful websites. I’m happy that you shared this useful information with us. Please stay us up to date like this. Thank you for sharing. I always believed that if you go for a free website the quality will not be good but these website builders definitely provide you with quality designs and great themes. Thank you for the list of top 15 builders as it is a real help. Wow, cool list of website builder service. I prefer Wopop and Tripop, the best for me. Wix is simply the greatest website maker there is. 5. You can get more storage simply by adding a free master page!!! 6. 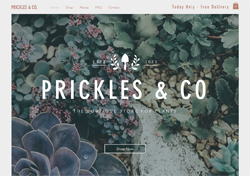 Free Unlimited Backgrounds, complex color options, buttons html, and more to make your site cute. GTG! My sister wants to play MovieStarPlanet. Check out my site and make your own on wix. See ya!!! I Think site.pro is better. They have responsive templates, domain names, plenty of storage and bandwidth. This builder is easy to use and free :), and you can build your site using tablet or phone. Thank for the post. I think the future is web builders. Website templates aren’t so popular and themes are usually used by webmasters which are familar with HTML and web desing. That’s why every year there are a lot of people think about website builders. I think it’s the same great invention in IT industry as Henry Ford’s conveyor in car world. i think someone’s mixed up gigabytes with megabytes! as pie, love it,and look SO GREAT! no need 2 really pay but for web.com that is it,and even then i am think kin bout leaving them why pay 200 ever few months for them when i have 10 other sites,web pgd. etc. may just use them for the good SEO they have help me with that bring much biz in,but WEEBLY over all is my # 1 source of biz comin in,and i m still free wit them! If I publish my website can I still edit it later if I want? 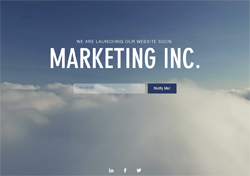 i’ve been checking out free website builders. there are several good ones so far. i have a site on weebly which ive found to be very good. all but one deleted my website when i finished evaluating, but i could not delete my Webs.com website. The Delete link didn’t work and they have failed to respond to repeated emails to delete the site. i chose to delete their website because it was difficult to use their program and support was lacking at the free level. i suggest avoiding Webs.com. Weebly could also be on this list! Most of these “Free Website Builders” are followed by some kind of subscriptions. Can somebody help me by giving me the addresses of truly free “Free Website Builders”? It was Truely helpfull !! Search for the best free web builder stops here..thanks for the info..! I tried it. Frustrating. I left! OK everyone, good stuff, but I am new to this and I want to start a service-oriented business. With this focus, which web-system is best for me? I want a serene/soft/soothing feel to the website and it needs to appear ultra professional. I am actually looking for free services for to make an ecommerce site but I haven’t got any yet that can blow my mind. For shopping cart support, I guess izzonet is the best. Honestly, I’ve tried all website builders above. The best one that I’ve currently used is uCoz. I think we should also mention ucoz.com, which offers FTP, unlimited traffic & space, domain attachment and so on. Mentioned those as, the majority of the website builders I used didn’t offered those features in the free plans. I find it easy to use and would put it somewhere between a Website Builder and an advanced CMS. As a web-developer I highly recommend it! 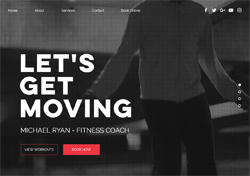 Great line up of website builders. I think two other free website builders that deserve mentions here are Weebly.com and also Lifeyo.com. Lifeyo is relatively new to this market, but Weebly has been around for a number of years already. They now boast more than 11 million users, or about 10% of the internet’s websites are created through their platform. What about Jux? It’s easy and it looks beautiful! These sites serve a purpose if you are looking to build a “shed” type of website. But if you are wanting an actual website for your company or business then you need to turn to a professional web designer. And NO, not all professionals are going to charge you an arm and a leg to design a site. Good professional web designers can work within your budget to meet your needs. I need to set up three websites to cover three activities of mine teaching and couselling, legal assistance, art gallery. Could you please advise me as I am not tech-savvy and work from home. dude, lots of time have been passed since 2011 and your comment reminds me old guy who teaches everybody how to live. Now it’s easier (and cheaper) to use good free web builder – and to forget about head ache brought to you by “a professional web designers”. I can say this as experienced customer of these “professional web designers”. At the same time result will be better – visually website will look cool. Of course if you will use not the first website builder you met but something like wix or weebly. I really don’t think that someone should use them. Why? Can you offer something better? 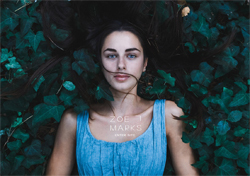 My friends have websites from Wix and they’re happy with it. For ordinary users these companies are godsend. Many people don’t know what is domain name and WP as well. I mean ordinary people that aren’t related to web design and web development. And not all of them have opportunity to pay a lot of money to some web agency for a website with its own CMS, domain name and hosting. For such people, web builders are exactly that they need. And it’s not too expensive and everything is clear. Weebly is best of all of them. Cool free web builder services!! thanks for sharing. At the same time result will be better – visually website will look cool. Of course if you will use not the first website builder you met but something like wix or weebly. Do not see a problem to use free website builders to get a free website and earn money on it via adsense or amazon affiliate. What’s the problem? Doesn’t a free site allow to place adsense ads? Or are there any limitations in number of words in posts? This is a myth. It all depends not on the fact – do you use free builder or paid one or not a builder at all. But exactly a content influents on success of your site, including commercial success. its a jock only NO FREE WEB SITES ????? ?